Garden planters that are large, durable and lovely describe our Italian Pot. With a large rolled rim top and decorative rings around the body, these containers are perfect for filling with flowers, bushes, topiary, trees or palms. 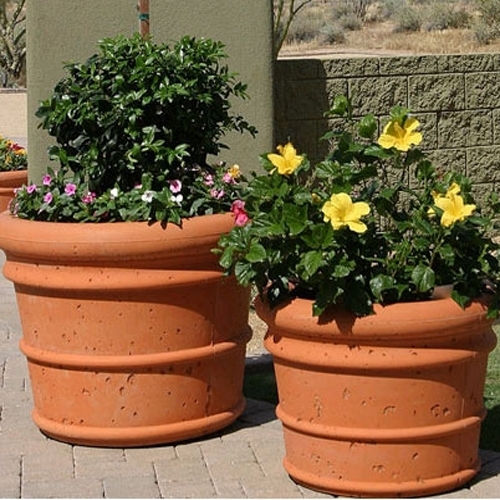 Flanking an entryway, on a patio, or around the yard or garden, our planters will meet every landscaping need.